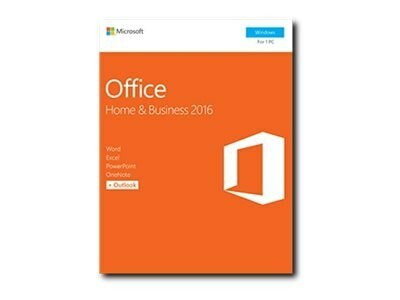 This suite comes with the 2016 versions of Word, Excel, PowerPoint, OneNote, and Outlook featuring enhancements that help you create communicate and work from just about anywhere. Perfect for remote workers and dispersed teams, Office 2016 lets you edit and co-author in real time, send documents fast and stay in touch via Skype. Exception for OEM/Medialess SKUs: Due to manufacturer restrictions, all sales of this SKU are final. Microsoft does not allow returns for OEM/Medialess software, with no exceptions. Please order the CURRENT skus and make sure the customer knows what they are ordering and is aware of the policy.This product is subject to our return policy. Please see our complete return policy for details.